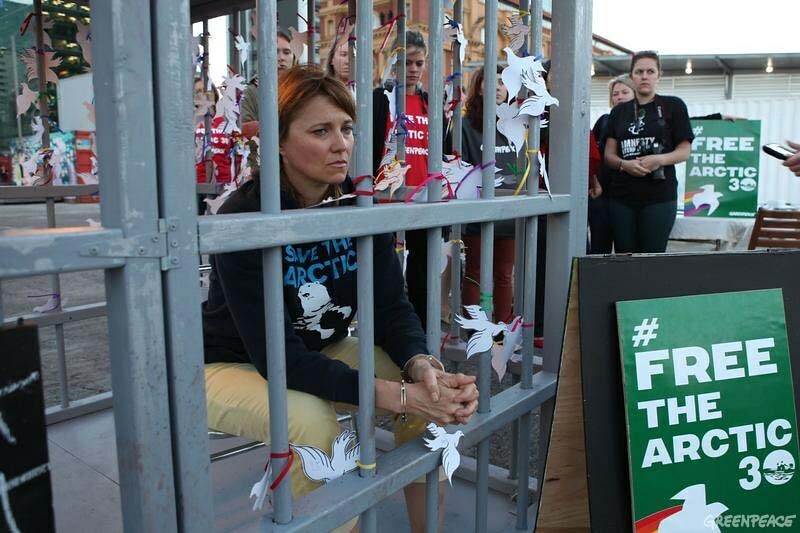 Actor Lucy Lawless is held in a mock prison cell during a day-long vigil on the Auckland waterfront to mark 30 days of injustice for the Arctic 30 detained in Russia. 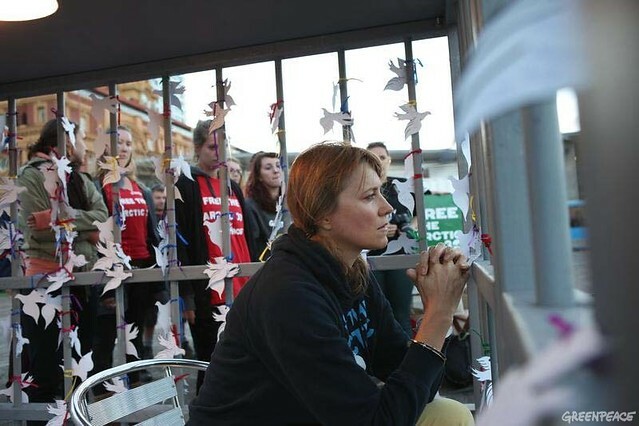 Thirty volunteers, representing the Arctic 30, are each spending 30 minutes in the cell on Queens Wharf near to where the Rainbow Warrior was bombed by the French Government in 1985. As the Arctic 30 face their 30th day of imprisonment by Russian authorities, nearly 10,000 people are taking to the streets at 85 events in 36 cities to call for their immediate release. A Russian court has charged the Arctic 30 (twenty-eight Greenpeace International activists, as well as a freelance videographer and photographer), with piracy, punishable for up to 15 years in prison. 30 volunteers in Auckland stood a silent vigil for each of the Arctic 30 detained in Russia on piracy charges for their peaceful protest against Arctic oil drilling.